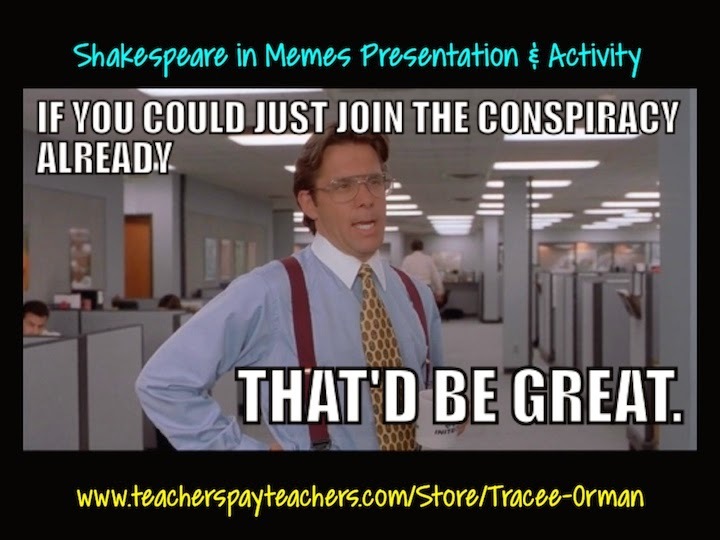 Shakespeare can be difficult for students. I remember struggling to understand the text when I was a teenager. It wasn't until I had a teacher who translated the lines for us (often in a humorous way) that things finally clicked for me. 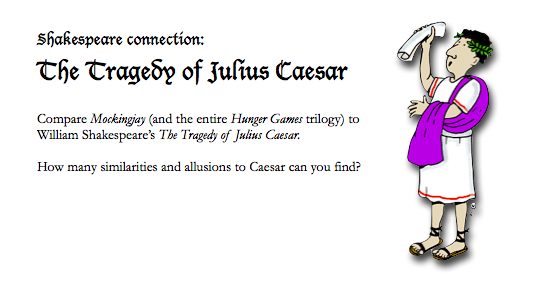 Still, when I first had to teach The Tragedy of Julius Caesar, I was terrified. Over the years it has become one of my favorite plays. There are so many quotes famous quotes engrained in our culture. 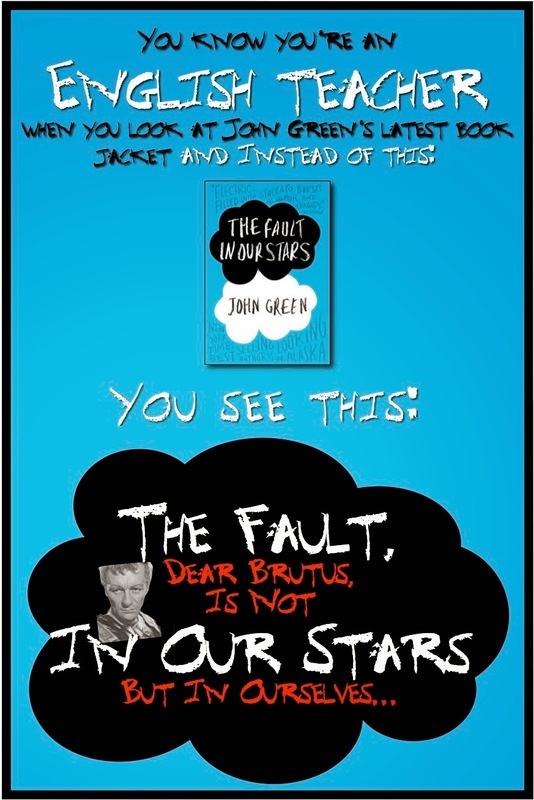 Students are always amazed to learn that TuPac quoted lines from the play in his songs and, more recently, John Green uses a partial quote as the title (and major theme) of his best-seller The Fault in Our Stars. But finding these references and and creating ways to connect them students takes forever. Well, maybe not forever, but a very long time. Before the internet (or, before YouTube and more content was posted), I would tape episodes of "The Simpsons" or just buy the DVDs to get literature references to show as examples. Students love it when you can take something from their world and put it in context with the unit we're studying. When the two worlds collide, magic happens. 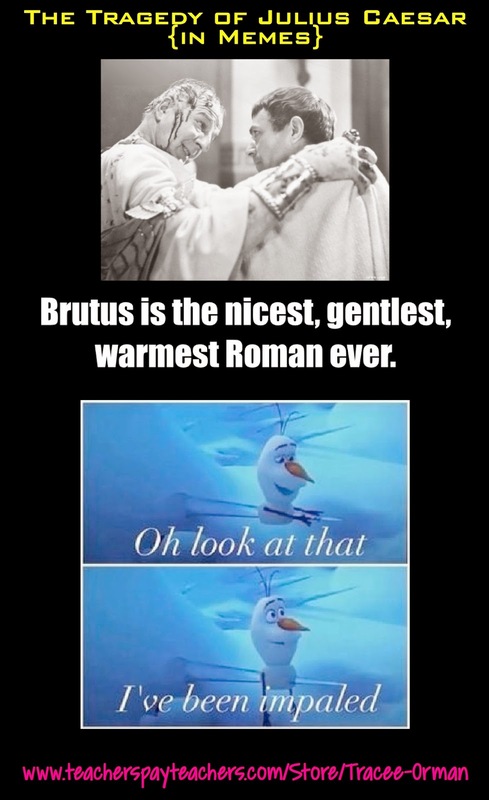 We all know, though, finding these references are time consuming. And time is rarely on our sides. We can't afford to spend hours searching for clips on YouTube or memes online, then compiling them to show students. That's why I usually find a few then unleash my students to find (or make) their own. It's fun for them and they actually learn something. 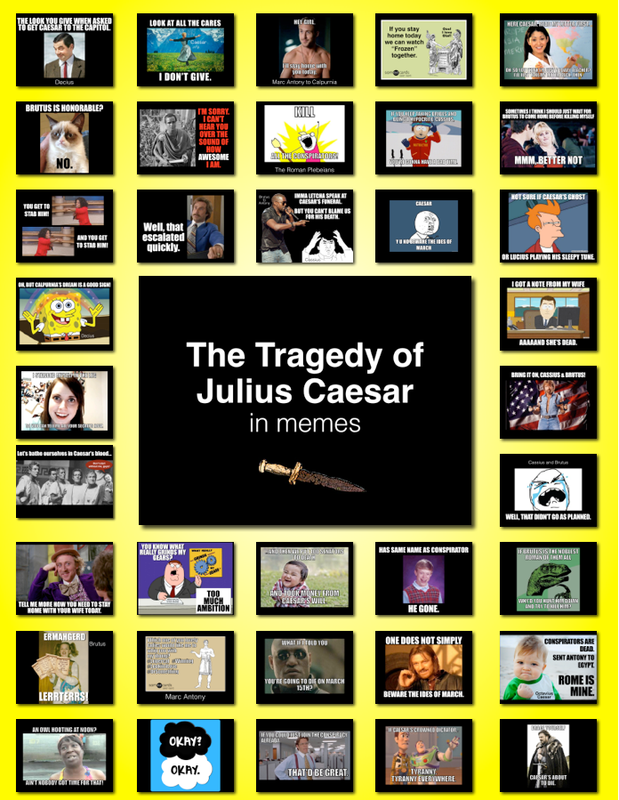 To make your job much easier, however, I have taken the time to put together some great memes from my Tragedy of Julius Caesar unit. ("Some" = over 80 memes.) I have found these to be quite helpful for both high-achievers and struggling readers. The high-achievers want to create their own snarky memes (let them! They usually make the best ones.) and the struggling readers make the connection between the text–which seems like a foreign language to them–and the meme, finally comprehending what is going on in the play. 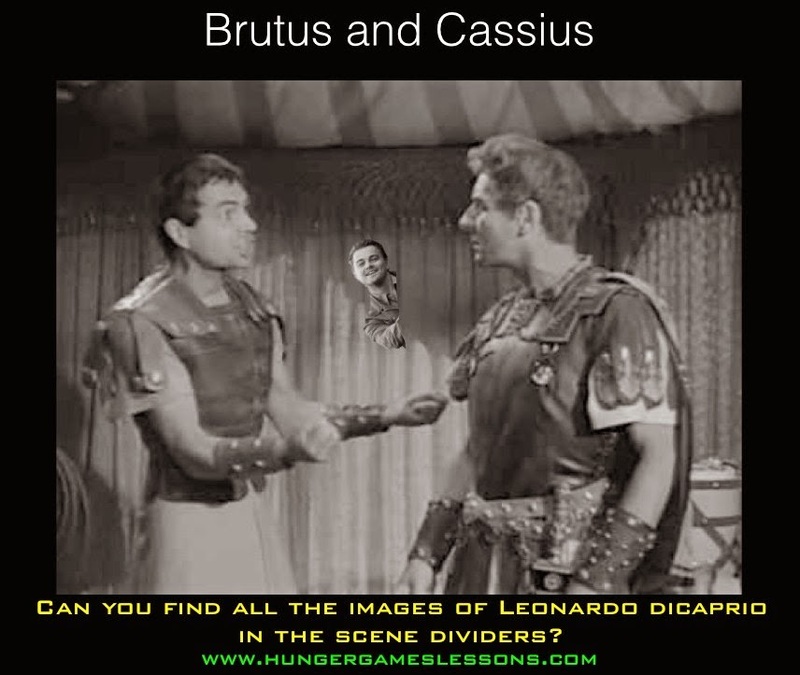 This past April when I assigned Julius Caesar video parody projects to my students, I decided to finally compile all of my images and make a video. Since I had just shown them example memes scattered throughout the play, the video helped them put it all together. Plus it has music. Kids love music. The movie runs a little over 12 minutes, but chances are your students may want to watch it a second time to spot the "Strutting Leonardo DiCaprio" images I photoshopped into the scene (and/or setting) divider pages. 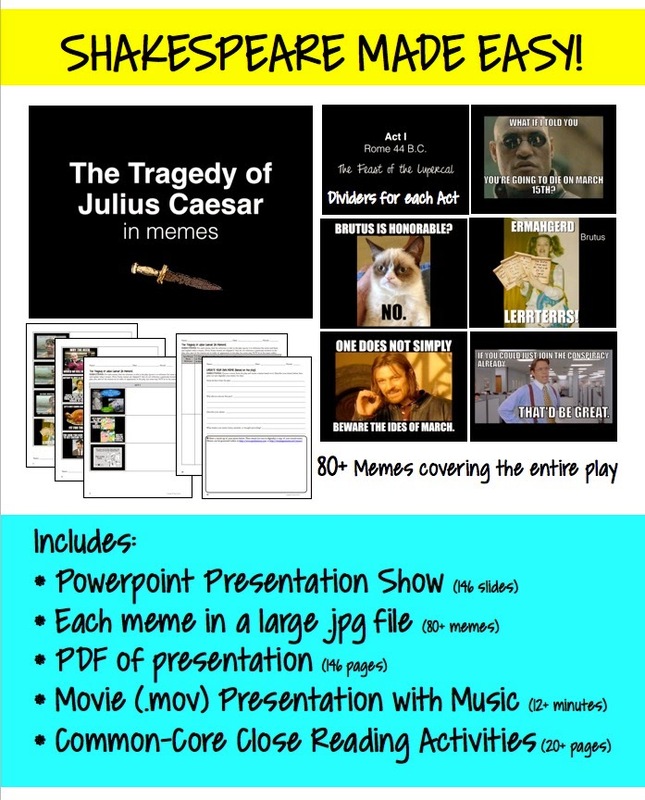 And just to make your job even easier, I included handouts so students can search the text (close reading) to find the lines that are referenced in the memes. There's also an activity to prompt them to create their own from the text. Yes, the activities are aligned to the Common Core State Standards. The incredibly large file also holds all 146 slides as .jpg images for easy printing AND a Powerpoint presentation of the movie in case you wish to show them at your own pace (Powerpoint does not include the music track). And what does this have to do with The Hunger Games trilogy? 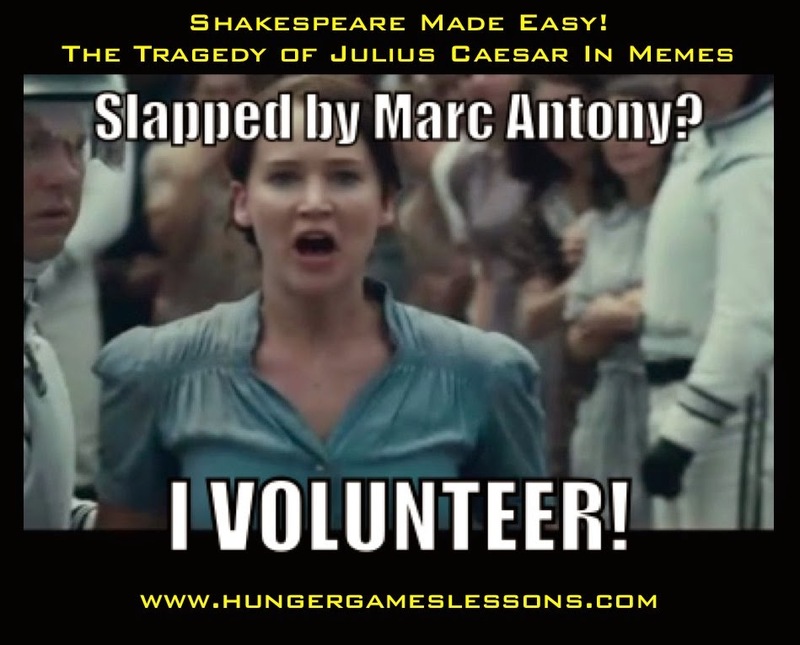 In case you haven't noticed, there are tons of references in The Hunger Games trilogy to Shakespearean plays. 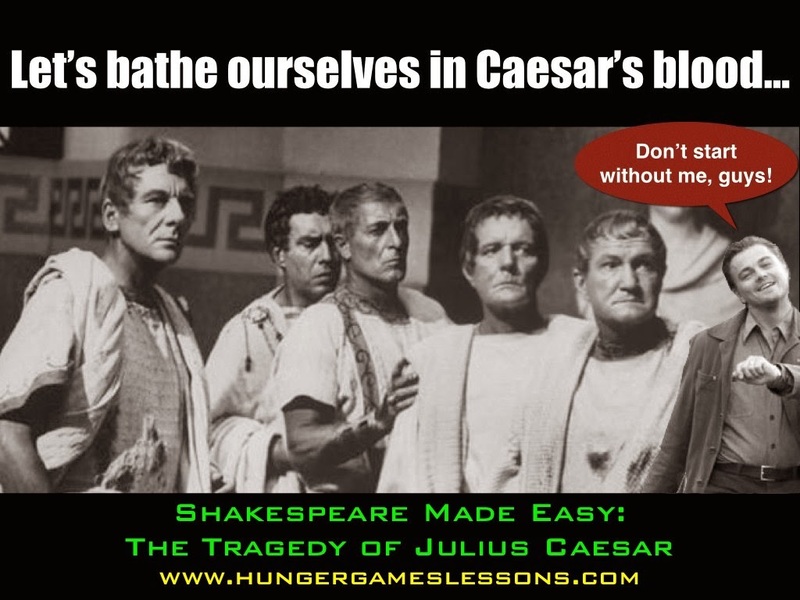 Mockingjay, in particular, references The Tragedy of Julius Caesar a few times. 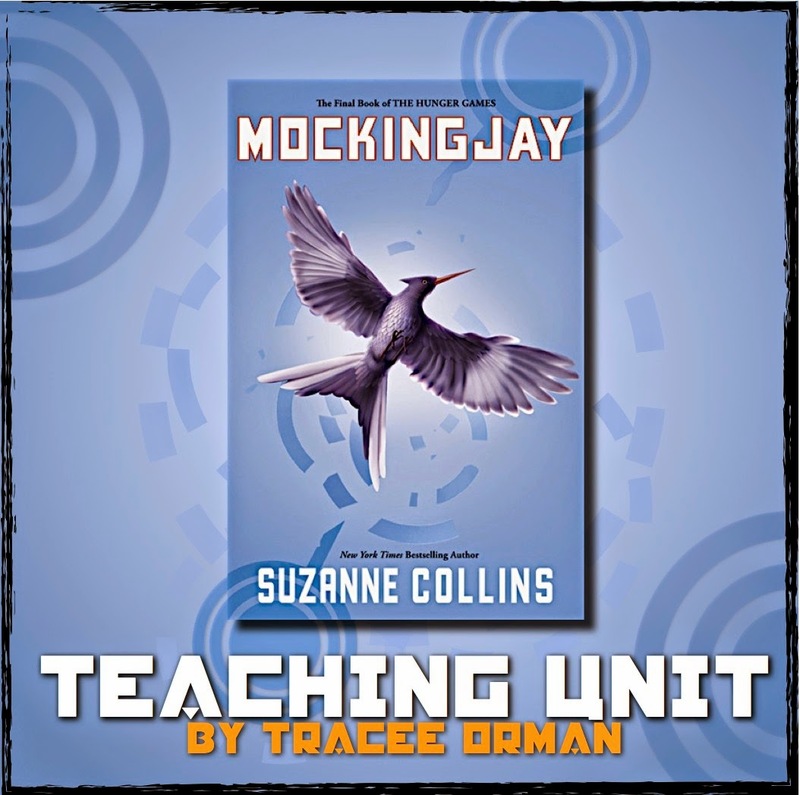 You can find those activities in my Mockingjay unit. I love it when authors use allusions to works of Shakespeare! It makes out job of proving his relevance so much easier. 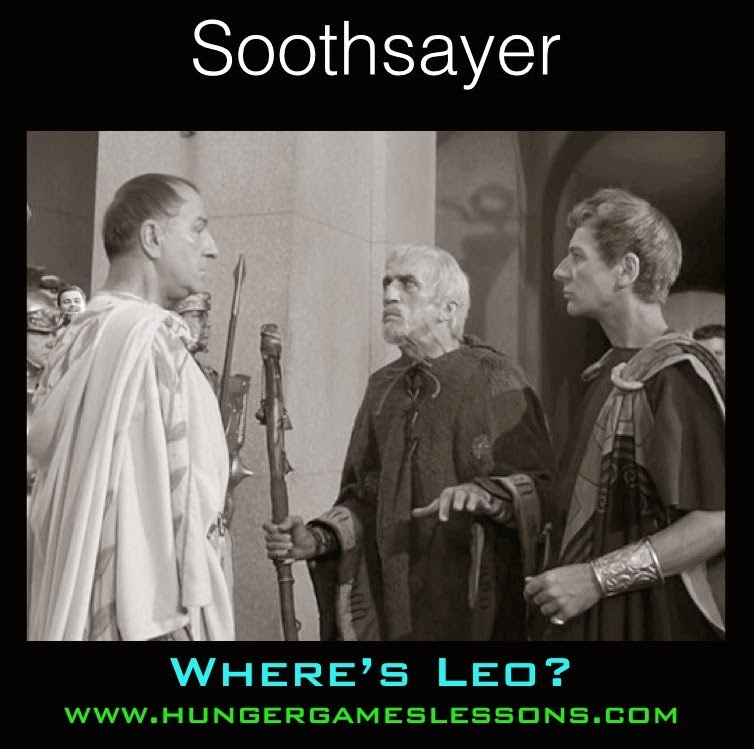 How do you incorporate pop culture into your lessons? Share in the comments below.